Want Lenders to Chase You? 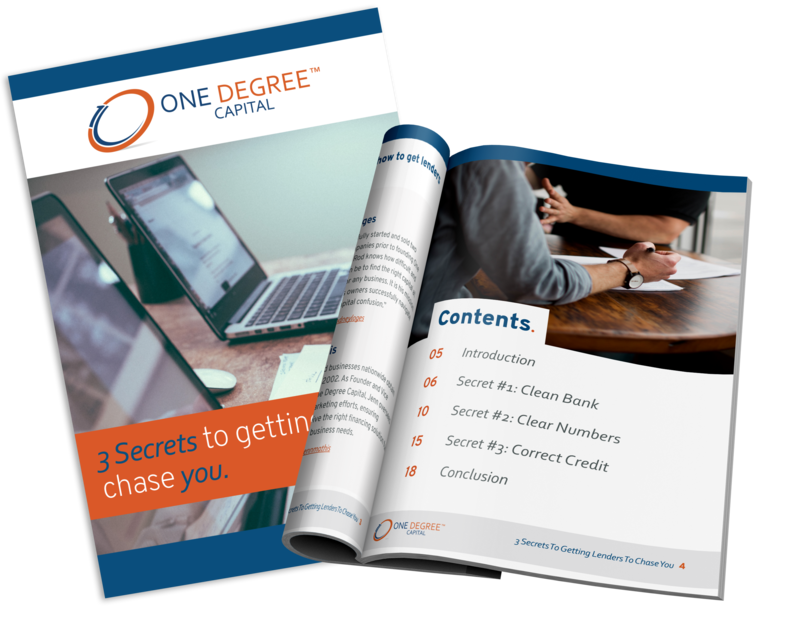 Download our eBook and learn the 3 secrets to getting lenders to chase you. Want to be the kind of business that lenders love? Trust us, we want your business to run smoothly and grow just as much as you do. And when it comes time to find funding and take your business to the next level, we want you to be ready. In this eBook we share the secrets behind getting a lender's attention (the good kind). In fact, if they see these things in your business, they'll be chasing you instead of the other way around.